An immense debate people have been conversing with The Disaster Artist is whether someone should see The Room (the film which it is about) before seeing it. Regardless as to which is ideal, I went in without having seen (nor do I plan on ever seeing) the infamous best worst film ever made. As interesting as the making of it is, the film is more of a character, or relationship, study of the two men who came together to allow the film to happen, Tommy Wiseau and Greg Sestero. 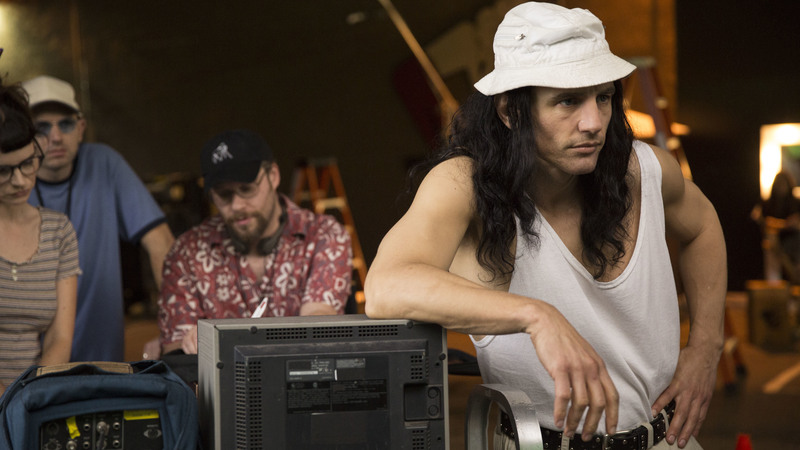 The Disaster Artist has its flaws, but the brew of subtle laughs, concentrated drama, memorable characters, and established direction makes it just so damn hard not to fall in love with it. Real life brothers, Dave and James Franco play the lead roles, with the latter also directing. Franco gives an excellent performance, constantly maintaining humour without straying from reality and always keeping a hint of desperation; a role that could have effortlessly come out horribly comical and unrealistic somehow stays realistic (or as realistic as Wiseau may be). Do I think Franco could be nominated for Best Actor come Oscar season? Yes, but he would have to beat out the likes of Steve Carell (Battle of the Sexes) and Daniel Kaluuya (Get Out) for the number five spot. Is He deserved? Absolutely. Dave, on the other hand, gives the performance of his life. After films like Neighbors, Nerve, and Now You See Me, D. Franco is able to show just how able he is to be a leading man and not just a pretty boy to laugh at. The supporting cast really helps back the story; actors such as Paul Sheer and (less so) Seth Rogen sustain solemnity when humour could have undoubtedly crept in. Where the story may have been fascinating and the relationship between Tommy and Greg captivating, Tommy’s utter bluntness, ingratitude, and callous nature for anything that isn’t himself makes him hard to root for. I fully believe that this is not the fault of the actor or the direction and that Wiseau was wholly like this, but that doesn’t make it easier for me to forgive nor accept that it remained. The film’s comedic instants do hit more often than I expected, but do not hold a candle to the dramatic. As we’re succumbed to care and worry for the relationship between the two friends, watching it tear apart was dealt with care and brilliance. The Franco’s performances did right by Scott Neustadter and Michael H. Weber’s Script. Watching Wiseau bicker and argue with his crew made for intense and exceptional cinema. The film is charming and should be a joy for all levels of filmgoers; casual to cinephiles. The film didn’t exceed the higher than usual expectations I paced before it, but also didn’t fail to meet them.